Mom spent many years working at a local elementary school. She was loved and respected so much that they planted a tree for her on the school grounds. Today we gathered at the tree for a brief dedication. The sun was shining and it was a beautiful day as friends gathered. Happy memories were shared by people she had worked with for so many years. 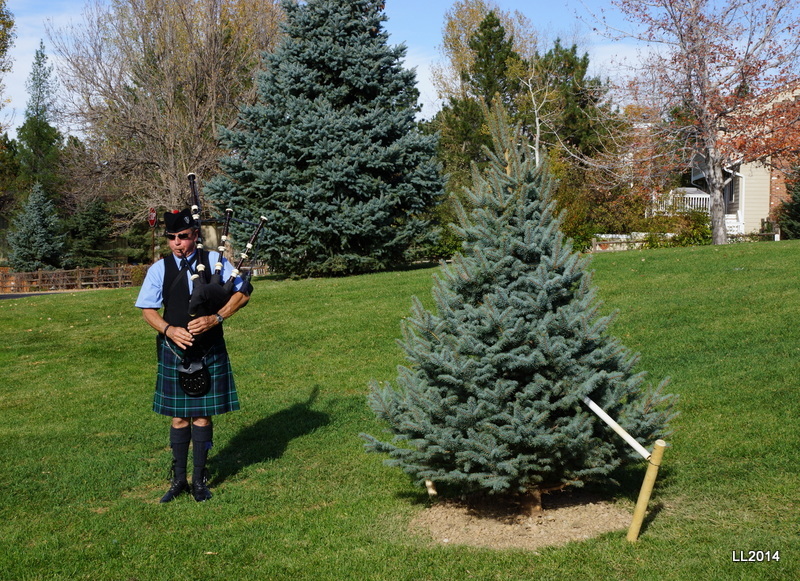 A piper played Scotland Forever and Amazing Grace as we reflected on what has been lost. A bit of closure. I miss her so much. This entry was posted in Family and tagged cancer, change, closure, death, dying, dying mother, gone, loss, mom, piece.